It’s not often that you come across a property like this in Leicestershire - it's a rare find. 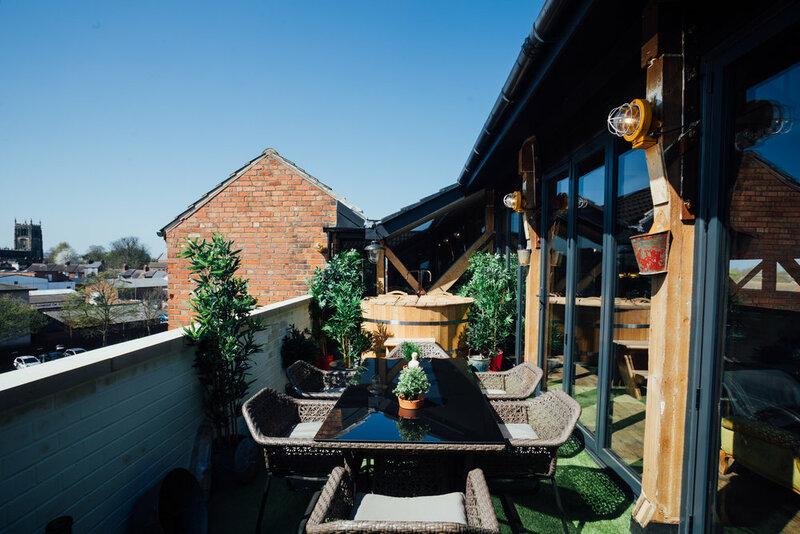 Situated only a few minutes walk from Loughborough town centre, this former hosiery mill has been transformed into a stunning penthouse apartment and is available as a holiday rental on airbnb. Accessed by the original lift or stairs, the vast, light-filled, open plan living area complements the high ceilings, exposed beams and floorboards, giving a lofty and contemporary look. You’d be forgiven for thinking this was an apartment in downtown New York. Antique furniture sits alongside bare brick walls covered in unique artwork to create an industrial-chic style that is perfect for modern living. The kitchen and dining area is a stylish fusion of old and new, with the large antique larder cupboard, copper pipe taps, marble worktops and blue Smeg fridge. The mismatched chairs around the vintage dining table provide a great environment for eating and socialising. Sunny days can be spent enjoying the astro-turfed terrace, which has space for dining al fresco, as well as a sauna and japanese hot tub. The bedroom is inviting and cosy with a beautiful, antique king size bed and log burner, as well as original windows that point to the history of the warehouse. The copper bathtub uses exposed copper pipes which hang from the ceiling, and there’s an open plan rainfall shower with panoramic views across the town. Everything has been thought of including the walk-in wardrobe and separate toilet. The apartment is available to book on airbnb and also offers separate rates for use as a location home for photoshoots & events.